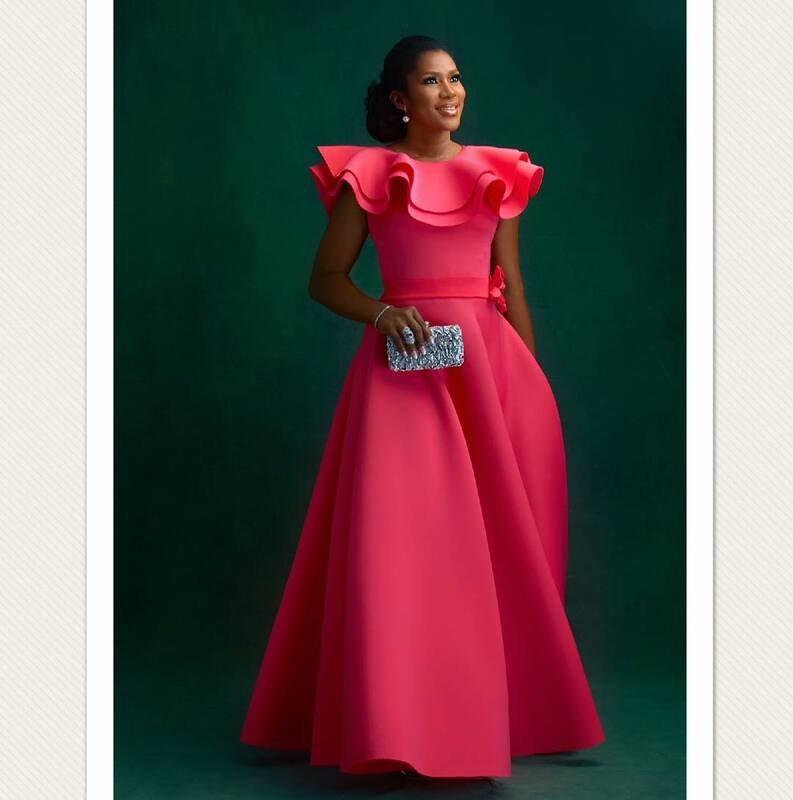 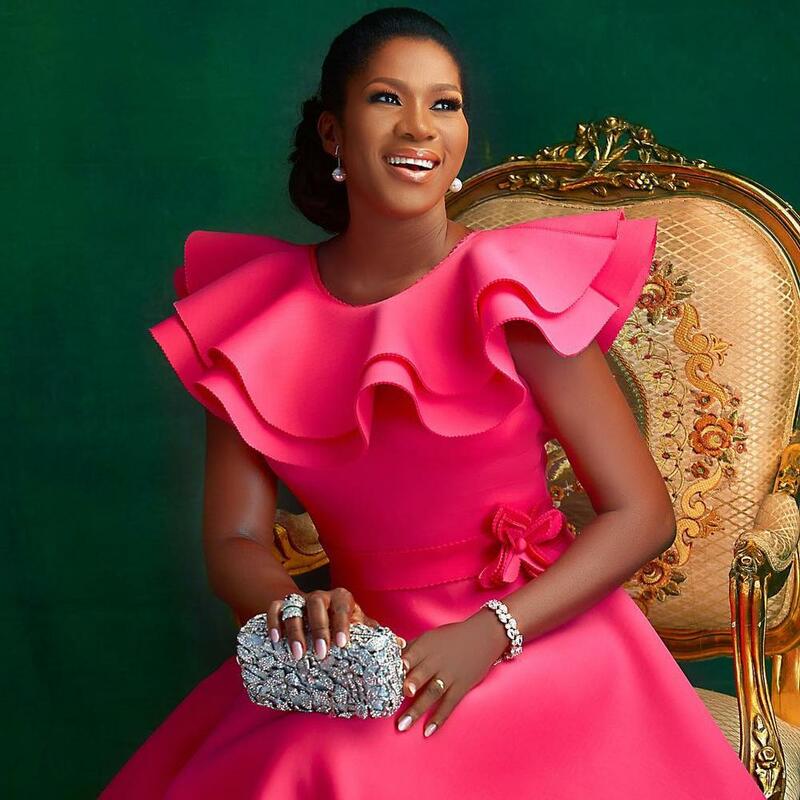 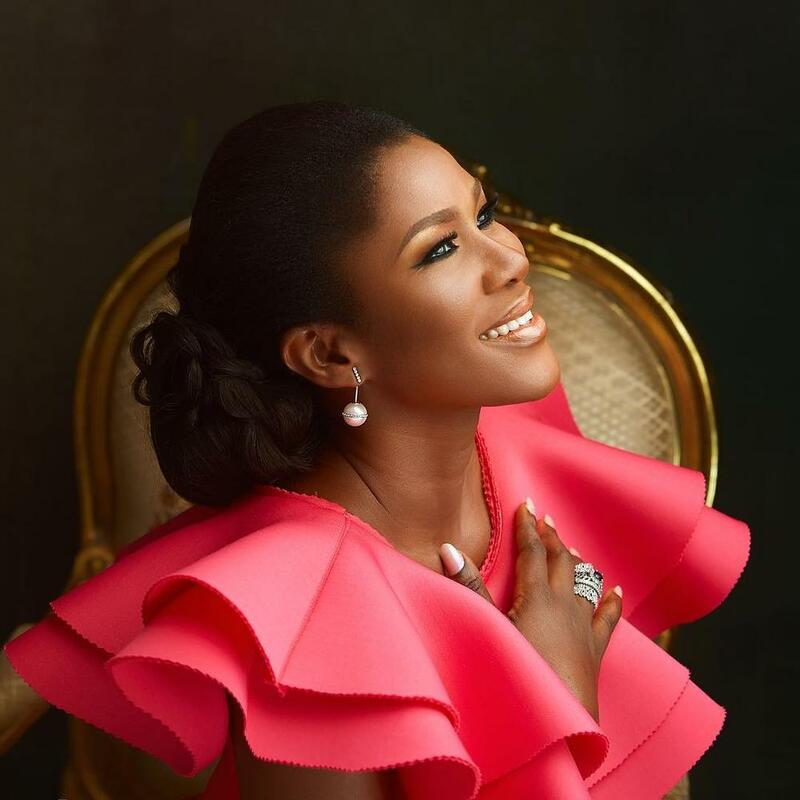 Nollywood Actress Stephanie Linus was one of the judges at the Most Beautiful Girl in Nigeria 2017 pageant last night. 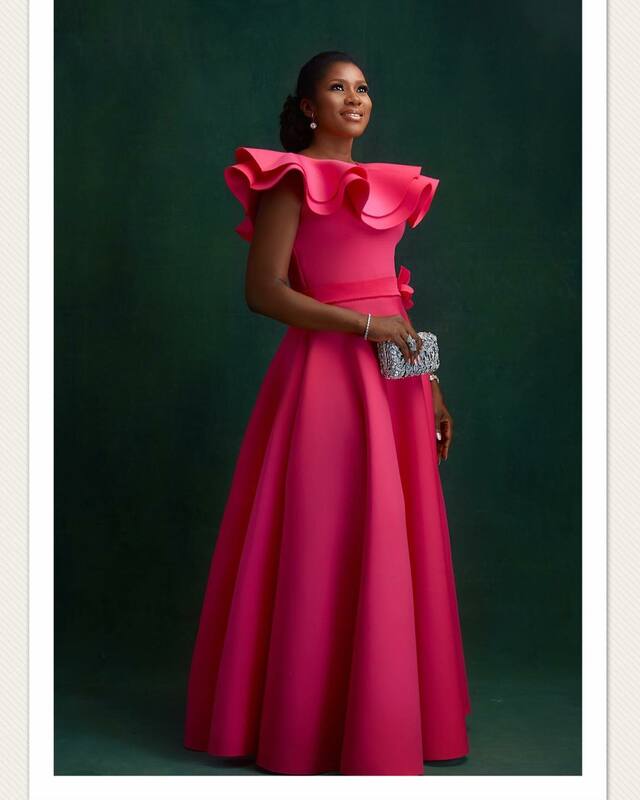 She dazzled in a stunning pink dress and no doubt looked red carpet fabulous! 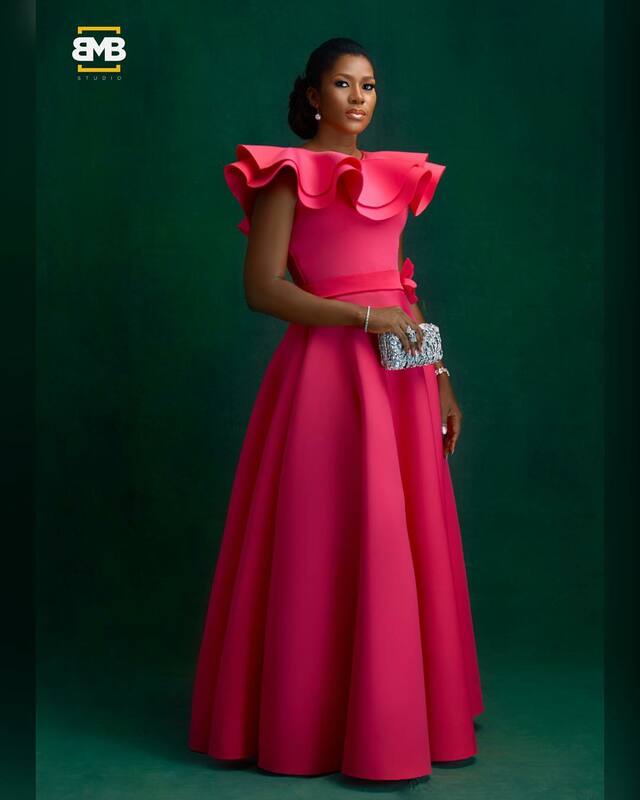 The gorgeous outfit which was designed by Enthyst Fashion Klinik had bold ruffles on the neck and snug her waist perfectly before flowing all the way down to her feet. 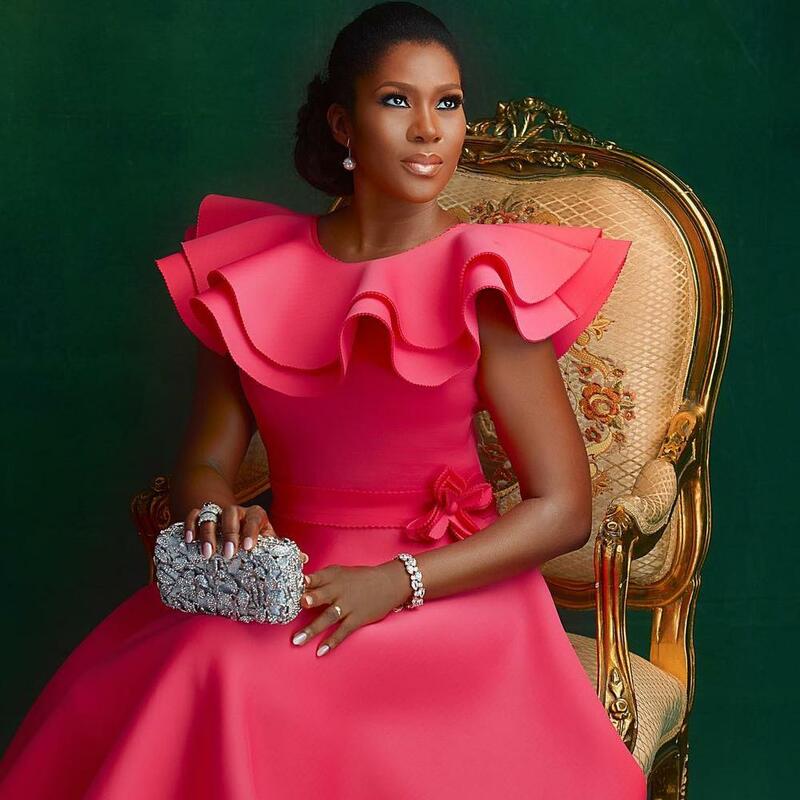 Complimenting a subtle, glowy makeup done by Jane, Stephanie’s hair was pulled back into a pretty low bun with minimal silver accessories for her ears and wrist. 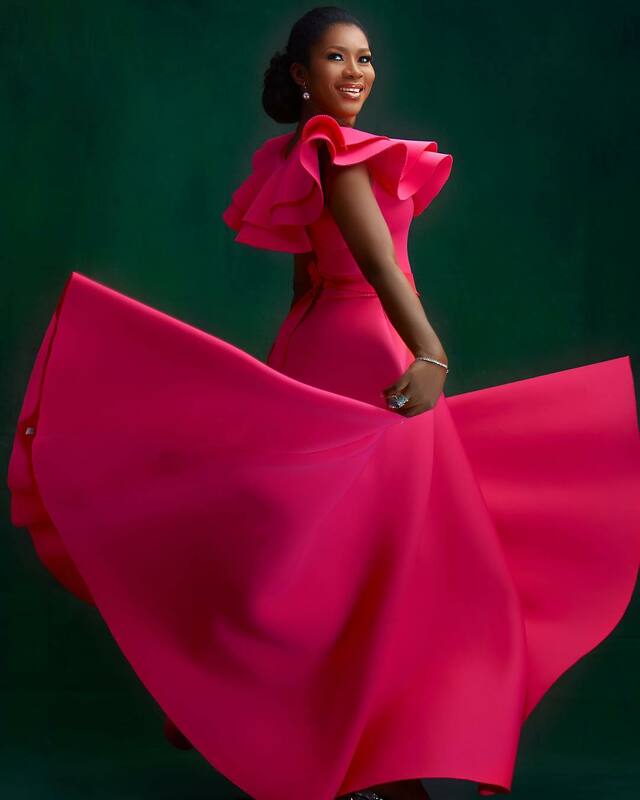 Her whole look oozed poise, confidence, and elegance. 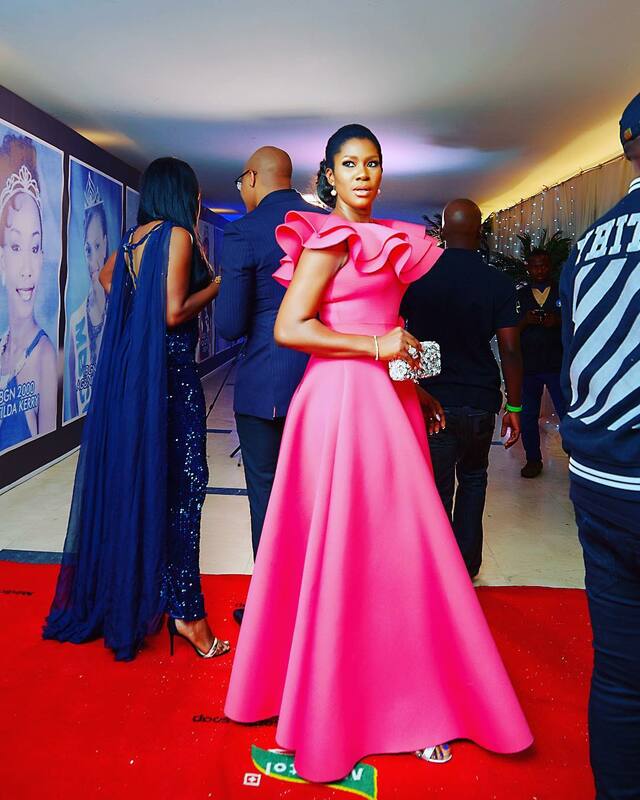 Check out all the stylish moments from MBGN 2017 on BN Red Carpet Fab here.